This week we get inside the heads of Neill Johanson and Peter Wager, co-principals of Davenport Campbell. The pair share their insights into running a practice, being inspired by Le Corbusier and Norman Foster, and the charity work they’re doing to rebuild schools in Nepal. Can you each tell us about yourself and how you both have ended up working within the architecture industry? Neill: We are both architects with a love of design. I fell into interior design years ago when I was asked to help an architectural firm in Australia expand its offering into interior design, so for me, it was a very steep learning curve. I very quickly became fascinated with the link between organisational psychology and the workplace and how what we design has a direct impact on how people engage with each other on a daily basis. I also had a fantastic teacher, Richard Campbell, the founder of Davenport Campbell, with whom I worked with for 10 years, who taught me how to work with clients and listen to their needs. Peter: I always wanted to be an architect – I even said that to my grade three teacher. It could have been in rebellion against my father who was an engineer. I grew up and studied in Perth and eventually left for London, where I stayed for 17 years and ended up running my own design studio for about 10 of those years. I came back to Australia for the sun and that led me to Sydney and Davenport Campbell where I joined as design director and ultimately co-principal. KPMG Parramatta by Davenport Campbell. You’re co-principals at Davenport Campbell– can you tell us a bit about the company and what it’s like working there as an architect? Neill: We’ve worked really hard over the past 14 years to re-energise a company that was a real powerhouse of design during the ’80s and ’90s. We were both keen to reconnect the business with its history of innovation and creativity especially in workplace design. We looked back through the DC archives and realised the company had a history of firsts – from putting the first PC on a desktop, inventing medical centres and Qantas Business Class lounges to pioneering the development of Computer Aided Design (CAD). The one thing we have never said to one another is ‘no.’ We took a great brand and made it even better, something we are really proud of. 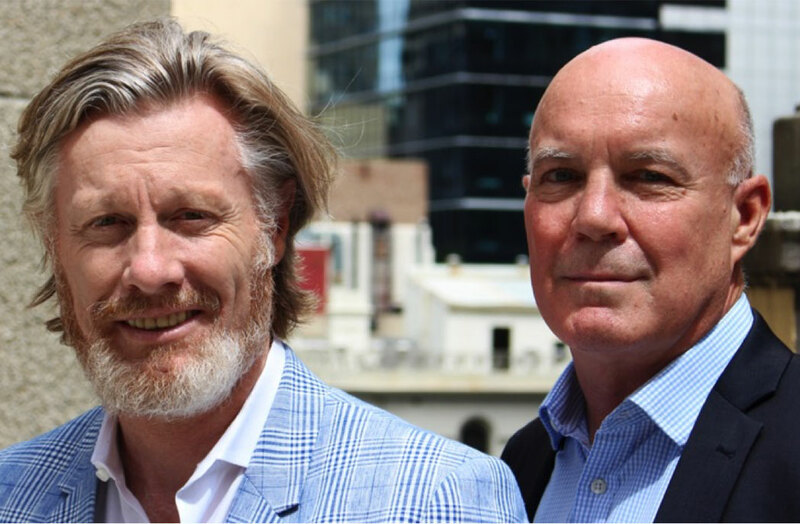 Peter: Davenport Campbell is also a place that has mentored many of the creative directors and principals that now run the major design firms in Australia. For the past decade, we have focused on creating projects that provide improved educational outcomes for kids through ideation-based classroom design, great workplaces that can really change the way we do things and refurbishing commercial buildings to transform their value. We feel we have recaptured that spirit of inventiveness. Neill: We’re also very passionate about giving back. We recently had a designer join us from overseas who sought us out not just because of the things we are designing but because of the philanthropic work we undertake. For example, we have created the charity Climb For Education with the Australian Himalayan Foundation, and have started rebuilding schools in earthquake-affected Nepal. Davenport Campbell is working to rebuild schools in earthquake-stricken Nepal. What are the challenges and rewards that come with working with large clients such as HSBC, Commonwealth Bank, Telstra and IBM? Neill: The reward is knowing that you have had a positive impact on the lives of about 50,000 people over the years who work and learn in the workplaces we have designed and the buildings we have reinvigorated. It’s seeing the satisfied survey results from completed projects that give you the confidence to stick your neck out again and again with an idea that, for many clients, can be quite foreign. It’s also the positive reaction we have from our employees who feel great about themselves because of what they have achieved. Peter: With large clients, it’s about constantly meeting their appetite for new ideas and ways of working more effectively and efficiently. You certainly can’t rest on your laurels, so we work hard to understand what’s on the minds of people who are directing these large companies and their employees. If it’s attracting and retaining great people, introducing agile working methodologies, improving collaboration, making the workplace healthier or implementing activity based learning, we need to demonstrate how the workplace or a building can support these changing needs, and not just in the short term. Commbank Honey Bee child care centre by Davenport Campbell. 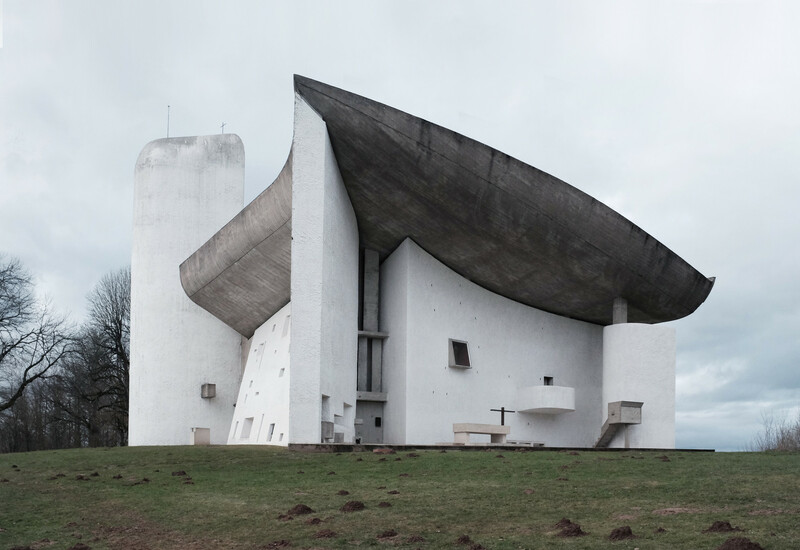 Neill: I was backpacking through France years ago and was dropped off at the base of the chapel of Notre Dame du Haut in Ronchamp by Le Corbusier. It’s the most beautifully framed building with a ceremonial approach that’s just as impressive as the building. It was my first and best encounter with great architecture, even till this day. This has inspired my appreciation for how subtle design can communicate big ideas. Peter: We are lucky enough to have HSBC as a client and I had the chance to spend some time in its Hong Kong Headquarters designed by Norman Foster. That is a truly elegant build with an underlining power. I love buildings and designers who take risks. Le Corbusier’s Ronchamp. Photo by Gili Merrin. Neill: My favourite space in Australia is on the face of Sublime Point in the Blue Mountains. There is nothing like its monumental scale and sheer exposure to concentrate your thoughts. I’m really jealous of the guys who designed Baxter Inn in Sydney. They have turned a loading dock into a brilliant front door, a food and beverage offering that is almost impossible to find and created an unpretentious vibe in which everybody is treated the same – pretty good for a bar that is recognised as one of the top 10 in the world. Peter: I have a small weekender on Scotland Island. My favourite place is the balcony there with a glass of Pinot in my hand. I find Pittwater relaxing and a bit mystical. I would have loved to have been involved in the design of the Sydney Olympic Stadium, not because it’s an outstanding building but because of the shared experience that so many people had there. Great sporting arenas are extremely interesting; they are static buildings that need people to exist. What’s something many people don’t realise about the role of a principal architect? Neill: When you start a business, you put everything on the line which really tests your commitment to your clients and your employees, not to mention the impact it has on your family. Early into our partnership, we needed to expand the business so we literally were paying the monthly wages from our pockets. That determination to succeed never really leaves you. Peter: How much you must place your trust in people. It goes without saying that Neill and I trust each other completely, but then you need to rely on your staff, your suppliers, and your contractors. That means trusting them with your reputation and vision. That is a real leap of faith. Neill: In the past six decades, 88% of the Fortune 500 companies have disappeared. The workplace alone is not going to herald organisational and cultural improvements but when it’s combined with powerful leadership, inspired change management and mobile enabling technology, great things can happen. Peter: We all need to take the broadest possible view of the world, as the things that are impacting on clients’ needs are colossal. We can’t be effective at our jobs unless we understand the political, environmental and social landscape that we live and work in. Neill: We have formed a partnership with the Australian Himalayan Foundation to help with the reconstruction of schools that were destroyed in the 2015 earthquake in Nepal. We just had two of our architects return from several weeks working with the teachers, school children and local community at Garma as our master plan starts to take shape. I’m also involved in the CBA’s new campus at Australian Technology Park where we’ve formed great partnerships to help deliver Australia’s biggest workplace transformation project. Peter: I am interested in bringing some of the private sector design thinking to the public sector. 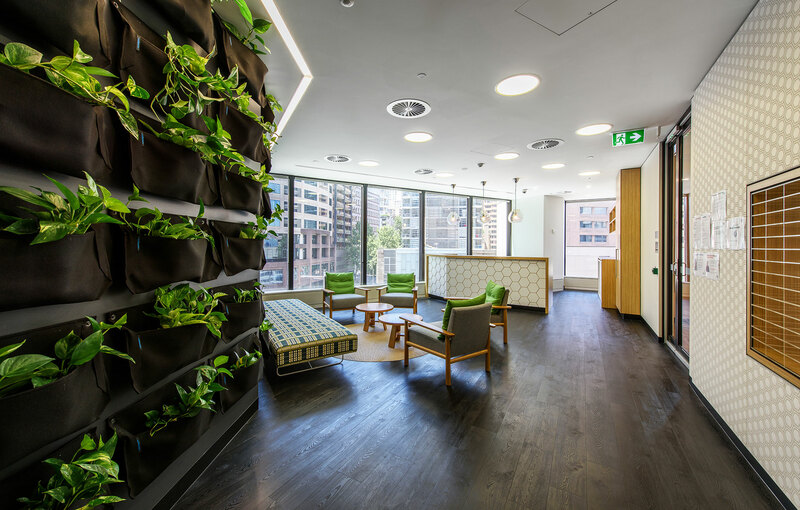 We have introduced really innovative ways of working for our clients including the CBA, IBM and Telstra and I think that the public sector workplace could really benefit from private sector design thinking. Find out more about donating to the Climb for Education fund, helping to rebuild schools in Nepal.